Each and every season for 33 years Grammy Award winning artists Eric Tingstad and Nancy Rumbel have been home for the holidays creating a longstanding tradition with Northwest families. Their holiday presence illuminates the enduring spirit of the season with a gift of song. This year REFA sponsored an event with Tingstad and Rumbel at The Hall at Kennelly Keys where they gave an incredible performance. A fun time was had by all. REFA's Annual Fundraiser featured a performance by The Penny Stinkers at The Heart of Anacortes. Although the band began over a decade ago as a folksy “busking” band, it has grown into a unique, high-energy party and dance band that balances trips down memory lane with the latest in musical genres and hard-charging originals. A fun time was had by all the participants and it was avery successful fundraiser for REFA. Fireworks will light up the sky and music will fill the air as the Town of La Conner and the Port of Skagit combine forces to celebrate the 4th of July the old-fashioned way. Highlights of the day will be a free outdoor concert at the La Conner Marina followed after dark by a fireworks display over the Swinomish Channel. 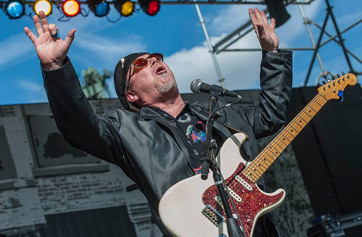 The concert features Pacific Northwest Legends Jr Cadillac and local classic rock favorites The Walrus. 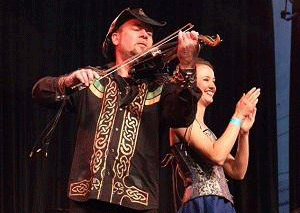 This Lincoln Theatre St. Patrick's Day Celtic Celebration features violin wizard Geoffrey Castle who has been putting this show on for 13 years now. For this year's production, Castle is bringing the Award Winning Seattle Irish Dance Company, his All-Star Celtic Night Band with Dan Connolly and special guests including Anacortes Town Crier Richard Riddell, Mt Vernon's own Don Wick as MC and bagpiper Don Scobie. Come support the arts and enjoy seeing this Northwest artist. 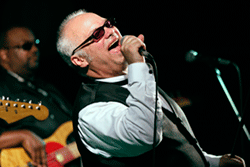 This Lincoln Theatre show features soul-singer/harmonica icon Curtis Salgado, a Northwest blues legend from Everett.Curtis released his latest album in 2016, The Beautiful Lowdown, which was number 6 on the Billboard Blues Chart when it came out. Curtis was awarded the 2017 Soul Blues Artist of the Year in addition to the Song of the Year for Walk A Mile in My Blues. Come support the arts and enjoy seeing this Northwest Blues legend. 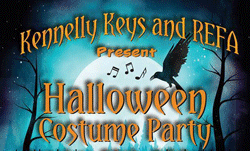 REFA and Kennelly Keys in Anacortes joined together for this dress up Halloween Party to help raise money for free music lessons to kids who can't afford them. The party featured live music by the Penny Stinkers who kept the lively crowd up and dancing for the evening. 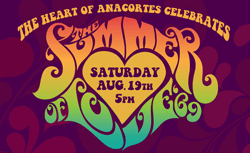 This annual REFA fundraiser at the Heart of Anacortes featured the rockin' sounds of the Walrus and celebrated the summer of love. The sellout crowd of supporters danced and participated in the auction and costume contest. A fun time was had by all the attendees and this was a very successful fund raising event for the organization. This early 2017 Lincoln Theatre show featured the funky Lydia Pense and Cold Blood with former Tower of Power singer Fred Ross doing a Tower of Power set as well as a Cold Blood set. This was an energy packed show enjoyed by the Lincoln crowd. 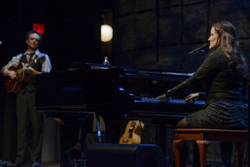 This Lincoln Theatre show featured Paula Cole. Paula played a grand piano and was accompanied by guitar and drums. She gave a very emotional and moving performance including "Where Have All the Cowboys Gone?" and "I Don't Want to Wait". The Lincoln crowd was blown away and reacted accordingly. The annual REFA fund raiser was a big success. 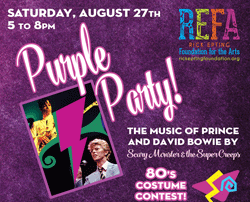 Scary Monster and the Super Creeps, a Bellingham band that covers David Bowie and Prince, performed David Bowie's hits and the whole Purple Rain album by Prince. The event was held at the beautiful outdoor Anacortes venue, The Heart of Anacortes. There was a variety of items that were auctioned or raffled off to the attendees. It was a beautiful day that involved a costume contest, dancing and lots of prizes. Another fun musical event which raised over $4000 toward our grant and scholarship programs! 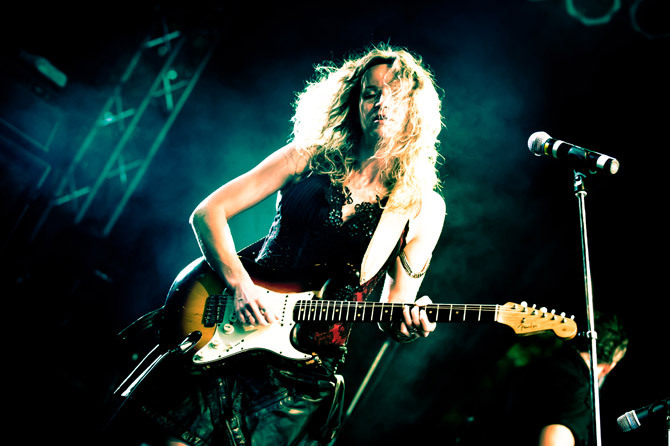 This Lincoln Theatre show featured Ana Popovic. Ana brought her incredible band and wowed the local audience with her performance playing classic blues tunes and her own compositions. The Lincoln crowd as always made her feel appreciated and welcome and it was a high energy show enjoyed by both the audience and artists. This Lincoln Theatre show featured Lloyd Jones with special guest LaRhonda Steele. Lloyd played cuts from his new release as well as renditions of his prior recordings. LaRhonda was featured as a backup singer with Lloyd as well as playing cuts from her latest CD. The Lincoln crowd as always made the artists feel appreciated and welcome and it was a high energy show enjoyed by both the audience and artists. 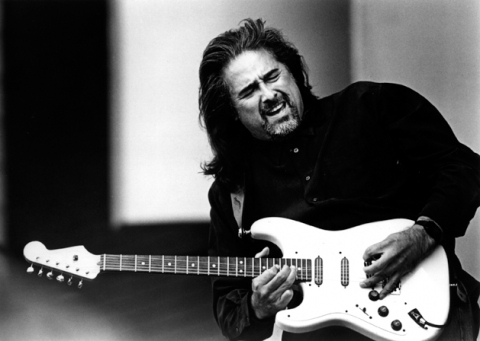 This Lincoln Theatre show featured Coco Montoya. He played music that ranged from his John Mayall Bluesbreakers days to creative collaborations that ranged from jazz to country. There was a full house on hand to make Coco feel welcome and it was an energy packed show that had everyone on their feet. 2015 Experience Arts Festival - This new event was held at the Conway Muse on April 25th and featured an array of local music, interactive art projects for kids and adults, dance lessons for all ages, interactive theater by the Skakespeare Theater group, story telling and an artist bazaar with arts and craft items for sale. It was a huge success enjoyed by kids and adults! This 2015 Lincoln Theatre show was a collaboration between REFA and The Lincoln Theatre featuring Los Lobos. The band had an energy packed performance with styles ranging from latin to rock and fusion. They jammed out for over an hour in the second set. 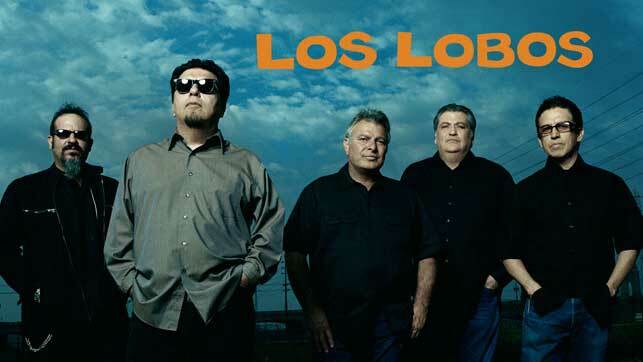 There was a sold out house on hand to make Los Lobos feel welcome. 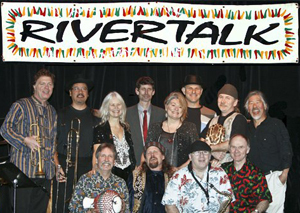 2014 Summer Music Fest - This annual event was held at the Heart of Anacortes on August 30th and featured music by local world music artists Rivertalk featuring the talented Jan Foster on vocals. It was a huge success with a full 'lawn' and the dance floor was busy during the whole show. It was also our annual silent auction event. This 2014 Lincoln Theatre show was a collaboration between REFA and The Lincoln Theatre featuring Albert Lee. 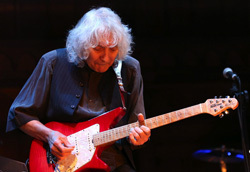 Albert Lee played mostly guitar, but also played a few tunes on the piano. He covered many different styles representing the wide variety of music he's been involved with. It was a great show! There was a sold out house on hand to make Albert and band feel welcome. 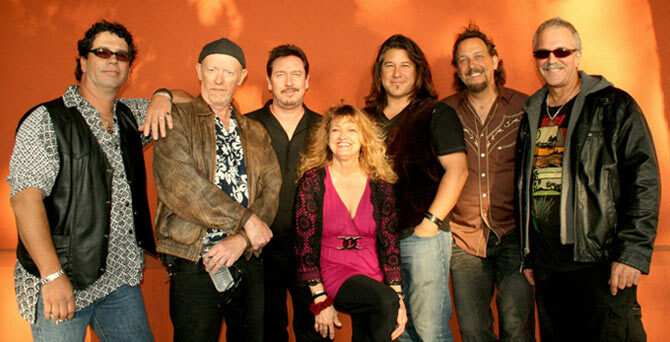 This early 2014 Lincoln Theatre show featured the funky Lydia Pense and Cold Blood. The Margaret Wilder Band opened. Lydia Pense still has the magic in her vocals, combine that with a tight band and a solid and funky show which had the Lincoln Theatre audience on their feet wanting more. 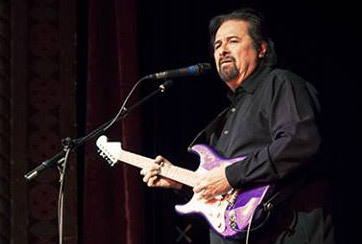 The 2013 Lincoln Theatre show was a collaboration between REFA and The Lincoln Theatre featuring Coco Montoya. He played music that ranged from his John Mayall Bluesbreakers days to creative collaborations that ranged from jazz to country. There was a full house on hand to make Coco feel welcome and it was an energy packed show that had everyone on their feet. Xtreme Tour Opener - @Rangerville... A sneak preview of the 19th annual eXtreme Tour; five bands and three hours of top performers from acoustic to rock and more. Bands from around the U.S. and Lithuania. It was an array of extreme talent in numerous genres at Rangerville's outdoor stage. 2013 Summer Music Fest - This annual event was held at the Heart of Anacortes on July 27th and featured music by local world music artists Rivertalk featuring the talented Jan Foster on vocals. It was a huge success with a full 'lawn' and the dance floor was busy during the whole show. It was also our annual silent auction event. 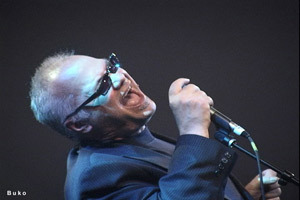 The 2012 Lincoln Theatre fall show was Rick Eping's 70th birthday celebration featuring the Curtis Salgado, 2010 Blues Music Awards winner of Soul Blues Male Artist of the Year. Opening for Curtis were local favorites Bobby Holland and the Breadline. 2012 Grants were announced at the show. 2012 Summer Music Fest - The second event was held at the Heart of Anacortes on July 15th and featured music by local World Music favorites Rivertalk. 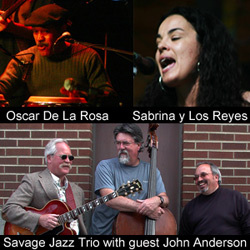 2012 Summer Music Fest - The first event was held at the Heart of Anacortes on August 18th and featured music by Sabrina y Los Reyes and The Savage Jazz Trio with featured guests Oscar De La Rosa and John Anderson. The 2011 Lincoln Theatre show featured the The Daily Flash, A blast from the past Seattle band with special guest artist, Jacob Navarro who opened the show. Grants were given away utilizing the proceeds from the 2010 show. Also the first REFA Summer Music Festival event was held at the Conway Muse and featured art displayed by Jacqueline DeGavia, Ron Weyers, Annabelle Vergne, Theodora Johnson, Bandana Glassworks and music by Stirred Not Shaken, The Stilly River Band, Greg Pitsch Band, The Bards of Keypoynt, and Larry Green. 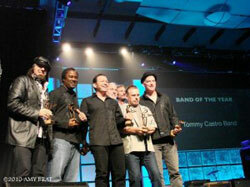 The 2010 show featured the The Tommy Castro Band, 2010 Blues Music Awards winner of Contemporary Blues Artist of the Year, Contemporary Blues Album of the Year, BB King Entertainer of the Year, and Band of the Year. Reggie Miles opened the show and the grants were given away utilizing the proceeds from the 2009 show. The 2009 show featured the The Paperboys whose original music is a blend of Mexican Son Jarocho mixed in with Irish Jigs and Reels and a good dose of Country and Bluegrass. Check out their myspace site to listen. The evening began with the original members of Rick Epting's Future Pastures Band - Steve Stolpe, Mark Warren & Mark Gowan doing a Rick Epting tribute with other local artists Jon Parry, Oscar De La Rosa, Don & Diana Mailloux, Li Gold, Greg Pitsch, Lane Fernando, Jamie Shea & John Holmes and then a presentation of the Grants from the money raised in 2008 followed by The Poor Man's Jug Band featuring Clarence Gallagher, Ranger Kidwell-Ross, Gary Sparrow, and George Jay. The 2008 show featured 3 northwest acts - The Cody Rivers Show, an innovative comedy duo with a reputation as tireless creators of kinetic, smart and unique works and the Dream Science Circus, a tasty and wild mix of creative interactive theater, outrageous sketch comedy, and jaw-dropping acrobatics as well as The Upfront Theatre established by Ryan Stiles, presenting improv comedy ranging from short form games to one act improvised plays and musicals. 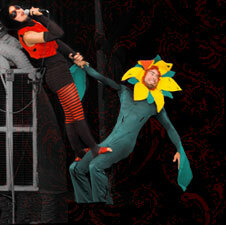 The 2007 show began with a caberet variety show featuring Skagit Valley talent Vince Fejeran, Mark Gowan, John Holmes, Joe Johnson, Beth Wallace, Elfa Gisla, Lindsey & Joe Bowen, Peggy Wendel, Aviathar Pemberton & Jennings Watts as well as aerial artists of the Dream Science Circus and Bellingham sketch comedy duo The Cody Rivers Show. 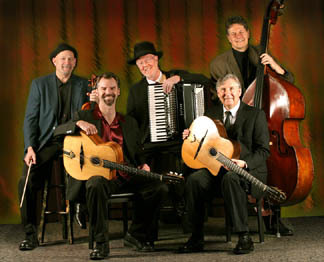 The Seattle based gypsy jazz band PearlDjango was the featured act. 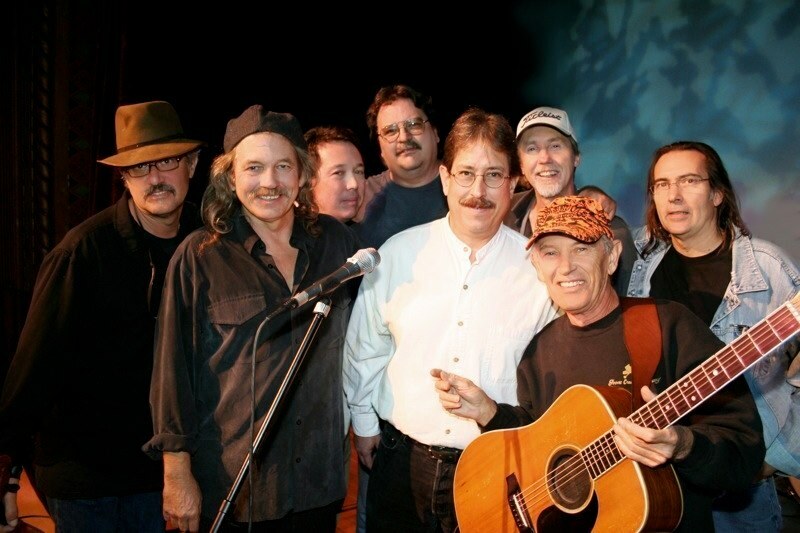 The 2006 show was the first show and featured performances by Charlie Gearhart of Goose Creek Symphony joining in a reunion of Rick Epting's The Future Pastures Band, META Performing Arts, Theatre Arts Guild, Lesla Epting, story teller Teresa Vaughn, The Holmes Shea Band , Mia Vermillion-Harison and Lynette McCormack. 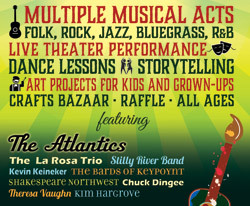 To enhance the quality of life in Skagit County through the arts.